- Fixed: Unlikely null-pointer de-reference when switching to game mode (CE-5258). - New: (Build) Added release build config for EaaS (which is not identical to "normal" release in terms of linking). - New: (CrySystem) Allows game code to specify a list of pak-files to load (instead of hard-coding in CrySystem), for use by EaaS. - Fixed: (RC, CryCommonTools) RC ignores files that are inside a subfolder of which the name starts with a . (dot). - Fixed: Don't skip deferred shadow gen when there are still custom or cloud shadows to be rendered (CE-5168). - Fixed: Overlapping stencil values with cascade blending and custom shadow maps. - Fixed: Use area light for sun just when area light support is enabled. Fixed area lights with tiled shading. - Fixed: gbuffer velocity generation when tessellation is enabled (fixes Character motion blur issues) (CE-3335). - Fixed: Sun specular multiplier in standard shading path (fixes sun specular not being configurable in tiledshading '2' mode). - New: Updated to Wwise version 2014.1.2 build 5195. - New: Introduced console functions to Execute/Stop Audio Triggers and Set Audio Rtpcs and Switches. - New: Added error logging for failed AFCM cache requests if a file not found at the target location. - Fixed: (ACB) The very first Wwise control was hidden from the user. - Fixed: (ACB) ACB would crash on a NULL control pointer during undo/redo (CE-4823). - Fixed: Environments were still updated on the AAA and AAE even thought they were disabled (CE-4570/CE-4719). - Fixed: Audio object ID invalidation on audio proxies during Save/Load. 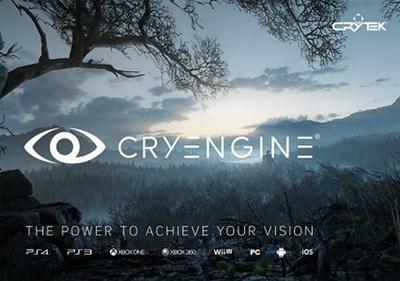 CryEngine v3.6.15 build 3176 181128 from rapidshare mediafire megaupload hotfile, CryEngine v3.6.15 build 3176 181128 via torrent or emule, full free CryEngine v3.6.15 build 3176 181128, CryEngine v3.6.15 build 3176 181128 rar zip password or anything related.